These online classes instantly accessible, and are entirely self-paced and available to you any time to fit your schedule. All content is delivered via video, with supplemental written materials also provided. Please click on the class you are interested in to learn more. The Clayer: Surfacing Techniques, will teach you techniques to create rich and dynamic surfaces on clay. 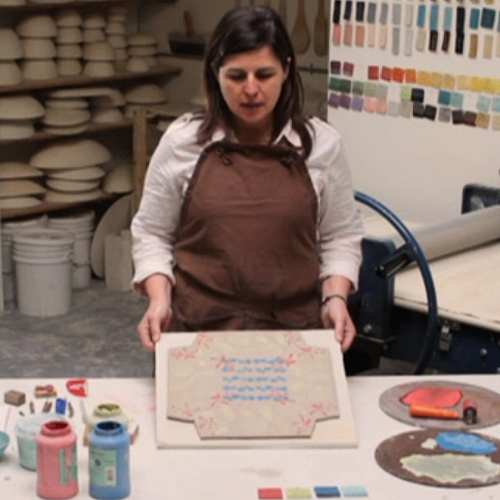 This e-course will cover various surface applications on clay, which will include; Mishima inlay, mono printing on clay, carving and printing with your own block prints and using those printing blocks to print on clay. 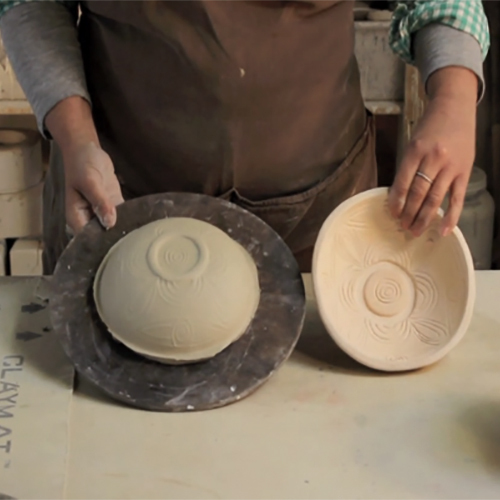 The Clayer: Patterns & Molds is a new take on surface and form, focusing on creating patterns and rich textures on clay surfaces and making exciting pieces using the techniques you learn. You will learn how to make simple plaster molds, carve intricate patterns into clay to create bisque press molds that we will use to give us deliciously textured surfaces as well as, cut paper into shapes and learn how to create one color and multiple colored stencil patterns. A water abrasion technique for more precise relief work is also covered. Finally, you will learn how to combine all of these techniques together to create pattern rich dynamic pieces, that celebrate your personal style and voice.